Your business is taking off, and the amount of things to address will give a run for the money to a superhero. Thankfully, you’ve found some help with your digital marketing, which is probably one of the areas taking way too much of your time, and once they are in charge, you can forget about it, right? WRONG! I know what you are thinking: I am horrible with technology, I don’t do social media, I don’t know anything about advertising online, SEO or email marketing; if they are not taking over, I might as well do nothing. Well, that would be a mistake. Your digital marketing agency or personnel can and should take over anything that has to do with the strategy, planning, and execution of the marketing plan. 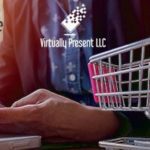 What they cannot do, (no matter how specialized in your niche they are) is take over the creation and procurement of relevant, unique and engaging content for your virtual presence. Of that, you will always be in charge, or at least involved with. There are dates to commemorate that are unique to your industry. Make sure to let your marketing team know those that must be acknowledged or tracked. There might be a season for your product, or it may be available only for certain periods of time. One useful resource for important event/dates, is this link for American holidays: http://www.holidayinsights.com/ as dates come up, add them to a business calendar that you keep as a team. You read and keep tabs in the business climate for your industry. Mention any impactful events. The marketing team will establish ways to tide this news to your product offering, business model, etc. The birthday, passing or life events for industry personalities should make news in your channels, when relevant to your brand. Nobody can be in all places at one time. Charge your entire company team with the role of reporter; you could even include your clients if it applies. Run contests for the best picture, video, infographic, referral link, etc. Make sure you value proprietary content the highest (created media for your brand.) If everyone is creating good content, the supply of material never runs out. Your digital marketing team must align the messaging to your general marketing campaigns. Provide them with details of new products, discounts, etc. They will reinforce the message already being served to clients via more traditional marketing channels. Share any information produced to support and/or sell your business with the digital marketing team. Even technical manuals provide valuable content to address recurrent issues brought up by your followers. With the overflow of information we all suffer, audiovisual support in communicating your product features and benefits is very valuable and can be repurposed for digital. Forward that last PowerPoint you prepped for the client and watch how it becomes a super engaging 20-second commercial online. Keep a database of topics that attract and interest your audience. Try to be objective and present the facts from both sides of the discussion, but do take a stand when it defines your core values and/or it speaks straight to your value proposition, business model or company culture. If applicable to your brand, share information about the human side of those that work in making your business possible. It can be showcases of employees, providers, and/or clients. Especially in social media, the human connection makes a big difference in the way your brand is perceived; you want to be social in social and business in your other channels. Of course, there is the need to curate this content, design some pieces to meet the channel’s requirements, and create what it is called an editorial calendar. This type of schedule will maintain logic in the way things get posted. This is the key area where your digital team can and should HELP. Remember your business and your brand is yours. If you want to change, add or remove something from your digital channels, it is your right and your responsibility to do so. The digital team might recommend or advise against your choice, but don’t ignore the inside voice talking. After all, it is your cake, and you need to eat it too. Do you share any other type of information with the digital team in your company? Share it with us down in the comments, and we will update the list often.